What Is the Police Officers' Bill of Rights? The Amendments to the United States Constitution contain several provisions that protect citizens from various intrusions by the government. These provisions have greatly affected law enforcement through history. In particular, the constitution protects citizens from being compelled to incriminate themselves. What happens, though, when a police officer is the one being investigated? Can he be forced to testify against himself? According to the United States and Supreme Court and the police officers' bill of rights, the answer is "no." The law enforcement officers' bill of rights is not a constitutional amendment. Instead, it exists in various forms throughout the U.S. In some states, it has been codified into laws pertaining to public employees. In others, it has been incorporated into individual law enforcement agency policies regarding internal investigations. Still, in others, it has been included in collective bargaining contracts. In all cases, police officers' bill of rights serves to help law enforcement agencies police themselves fairly and ethically. Few would argue that law enforcement officers have a tough job and that a day in the life of a police officer isn't for everyone. It is unfortunately also true that working as a police officer isn't for everyone and, though agencies work hard to adhere to the highest ethics in law enforcement, some bad apples sometimes slip through the background investigation and make it onto the force. Although most police officers are good, upstanding and hard-working individuals, we all know that even good cops can sometimes go bad. That's why most every department employs an internal investigations division, to ensure that problem employees are identified, disciplined and, if necessary, removed from the force. The police officers' bill of rights exists to make sure that those investigations are conducted fairly, upholding the best interests of both the department and the officer in question. Arising from two important U.S. Supreme Court cases, Garrity v. New Jersey and Gardner v. Broderick, the police officers' bill of rights, as advocated by the Fraternal Order of Police, provides basic guidelines that serve to ensure fairness and to make sure that, during the course of an administrative investigation, officers' basic constitutional rights are protected. Both court cases involved allegations of misconduct by officers and were decided within a year and a half of each other. In the case of Garrity, officers were placed under investigation for fixing traffic tickets. When the officers were called in to be interrogated, they were properly informed that anything they said could be used against them in a criminal proceeding. They were also informed that they could refuse to answer any questions that they felt could incriminate them. However, they were warned that if they refused to answer any questions, they would be fired from their jobs. The officers answered the questions asked of them and were subsequently prosecuted and convicted of their crimes. They appealed to the Supreme Court, however, because they were convicted in part based on their own statements, which they claimed were compelled under threat of losing their jobs. The court agreed, ruling that threatening to fire someone for refusing to answer questions, in fact, violated the principle of the fifth amendment protection against self-incrimination, and thus those statements should not have been admissible in a criminal proceeding. In the case of Gardener v. Broderick, officers were being investigated for bribery. During the investigation, officers were offered immunity from prosecution for their statements, which they were required to give to a grand jury or be fired. They were also presented waivers of immunity, and instructed that if they refused to waive their right to immunity, they would be fired. Gardner refused to sign the waiver, invoking his fifth amendment rights and was subsequently dismissed from his job. The court overturned the dismissal, again stating that he was wrongly compelled to testify. Both of these cases recognized that agencies at times need to interview their employees and that they had the right to compel them to testify in administrative matters. A distinction, then, was made between administrative investigations, which pertained to job performance, and criminal investigations, which pertained to allegations of illegal activity. An officer, then, could be forced to provide information when the investigation was limited to the scope of their duties and whether or not they violated agency policy and procedures. Any information obtained during such a compelled testimony, however, could not be used against an officer in any criminal proceeding. These decisions laid the foundation for what would develop into the police officers' bill of rights. 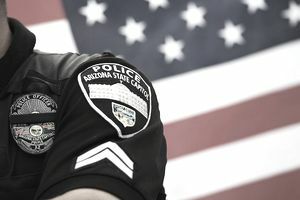 The bill of rights identifies the importance of distinguishing between administrative and criminal investigations, as well as recognizing the unique position law enforcement officers are in, even when under investigation. The reputation of officers is crucial to their ability to perform their jobs effectively. Because of this, the police officers' bill of rights includes several protections that make sure investigations remain private and confidential until they are closed, and discipline is administered. They also make sure that investigations are conducted in such a way as to protect officers from overly ambitious or biased supervisors. Officers should have the opportunity to provide written commentary and attach it to any adverse information, such as complaints and disciplinary action, that is placed in their personnel files. It's easy to see how these provisions can be frustrating to internal investigators. It's also understandable how the officers' bill of rights can be misconstrued by members of the public who believe that those rights serve to keep bad officers on the job. It's important to remember, though, that within the unique context of law enforcement, the police officers' bill of rights essentially extends to officers those rights already enjoyed by the citizens they serve. When it comes to investigations, detectives and investigators walk a difficult balance between building a thorough and airtight case and maintaining the rights of all involved. This holds true whether the subject of the investigation is a police officer or not. The police officers' bill of rights, commonly known as Garrity rights, makes sure that officers are treated as fairly as everyone else. Often, people express concerns about entering a career in law enforcement because they are keenly aware of the difficult things officers are asked to do and of the perception that it is easy for officers to become scapegoats when something goes wrong. Fortunately, the law enforcement officers' bill of rights exists to mitigate the chances of that happening. True, law enforcement careers are dangerous, and there are studies that show police work may be hazardous to your health. There are still plenty of reasons to become a police officer, and plenty of benefits and rewards, both tangible and intangible, to working in law enforcement. Fear of winding up under investigation shouldn't keep you from a job you'll love. Make it a point to always do the right thing, and your police officers' bill of rights will take care of the rest.